Portland Mountain Rescue is a non-profit, volunteer organization dedicated to saving lives through rescue and education. Our search and rescue area stretches nearly 4,000 square miles with 1,000,000 in population. For the most part, our missions occur on Mount Hood, Oregon’s tallest peak at 11,239 feet above sea level. Visit their website for more information about Portland Mountain Rescue. Going faster. Going farther. Go beyond. Made official in 2013, Go Beyond Racing LLC was formed by three friends who had been running and putting on races together for a few years. The company now produces over a dozen events each year, with new races always in the works. At every race, you can count on being a highly organized and safe event, with well-stocked first aid stations and friendly volunteers. Furthermore, rest assured you are donating to a great benefit, and will receive an equal challenge and reward within your participation. Visit their website for more information about the upcoming events. Kaarle Vanamo founded a company in 2004 and started developing the mobile climbing simulator that would meet his vision about the “perfect climbing wall”. After several years from start in collaboration with other experts the product was delivered to first customer in 2007. Climbing wall was named and branded as a ClimbStation™. 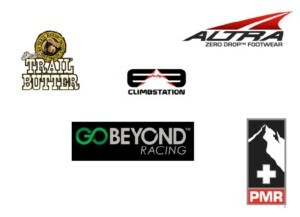 Only four ClimbStations exist in the US, with Evolution’s ClimbStation being the only one in an altitude room. Visit their website to see more about the capability and design of this wonderful machine. Altra shoes weren’t started in some corporate office, but in the back room of a Wasatch Mountain running store. Their founders, elite athletes and running store managers, wanted a shoe that let you run the way you were born to. They noticed that the design of most running shoes was hurting runners more than helping them. Elevated heels promote high-impact landing and narrow toe boxes squeeze the toes out of their natural position. To read more about the benefits of these zero-drop beauties, visit their website.